Often times when you use software in this field you get a little bit of a blow back but this program is easy to use and has benefited myself and others in a huge way. Important for scheduling and notes after sessions. Also helpful for tracking. Great for behavioral health management. Has templates that are helpful. Billing software is helpful. Security could be improved because of the confidentiality that is needed within this field any software used in this field needs to have security, locking,, 2 pass log in and so on. Private notes has that. Jessica - We appreciate your review! We are happy to hear that you have benefited from integrating TherapyNotes into your practice! Regarding security, we do offer two factor authentication. Please contact our Success Team at 215-658-4550, or by email at Support@TherapyNotes.com, so that we may assist you in setting this up. Thank you! "TherapyNotes is relatively easy to use and offers drop down interventions, etc." I like that TherapyNotes syncs the Intake and Treatment Plan info within the progress note for a streamlined use of goals, interventions, and progress made. I like the scheduling calendar and options for creating recurring appointments, cancellations, etc. I don't like that TherapyNotes does not have a spell check built into the system. It's easy to make grammatical and spelling errors without knowing it. I also don't like that if I have to edit something an entirely new note/plan is created (the old one doesn't go away). The benefits of streamlining the weekly notes of clients is used in conjunction with our billing agency, which is helpful. Erin - We really appreciate your review! It is great to hear that you are loving the general workflow and integration of our note templates. Regarding spell check, we do offer a built in spell check feature which can be found within the note templates. It is also possible to revise a note without creating a new note entirely. Please contact our Success Team at 215-658-4550 or by email at Support@TherapyNotes.com so that we may assist you with these features. Thank you! I like the way the billing and insurance team can communicate seamlessly within the software about insurance and copayment. You don’t have to guess at what people owe when they just bring you their card with no backup information. The only downside for me is I don’t like taking payments as the clinician. That may be more practice issue than software, but I would prefer to stay out of that process. There are features I’ve learned about that we don’t use. Consult with TN or check their YouTube channel to learn about all they have to offer! It makes documentation and scheduling so much more efficient. Chad - Thank you so much for the great review! We are happy to hear that you are loving our billing features as well as our notes and scheduling features. We are constantly evolving and developing TherapyNotes based primarily on feedback from our users, so we appreciate your thoughts regarding patient payments. As our client portal develops, there may be more options in the future for patients to submit payments directly. Thank you! "Could be better for bridging tx plans for couples/families, great for individuals"
I like the ability to carry over previous notes' content. I like the appointment reminder system. I like the ability to upload documents to the patient's chart. Great system for EMR. I wish there was a better web or app-based version to upload documents quickly and securely. Ease of use on mobile your priority? This is not the product for you. Comfortable using your laptop in session and taking photos on your phone's web browser app - this will work for you. Scheduling and fewer missed appointments. "Easy to use once you get the hang of it"
I like that I can open multiple pages at a time to reference past sessions. I like that you can use the history button to pull up the clients medication lists and past information. I dislike that their is only one timestamp associated with the note. If I have to make a minor correction requested by my supervisor then the timestamp sets to when I send it in the most recent time instead of listing both times. My supervisor is able to see my history on a document but it does not show up for me. I also dislike that we are unable to customize the way billing is printed out so we can directly send to the state for reimbursement. Instead we need to take the billing and put into the state's format. There is a free trial which will be able to accurately let you see how you like it. Online charts are amazing because I can access while I'm court testifying or in school meetings (I do mobile outpatient work). I love that I can audio record through my Bluetooth as well. Thank you so much for your review. We're new to G2 Crowd so we apologize for responding to this so late. I'm not sure if this helps you resolve your problem, but if you need to see revision history for changes made to a note, click "Revision History" at the bottom of the page when viewing a note for one of your patients. As far as billing goes, if billing to Medicare or Medicaid, you can do this electronically via an EDI claim within TherapyNotes. Or you can print a CMS-1500 and send a paper claim. Either of those methods should satisfy your needs. If you need assistance, we would be happy to help you. Feel free to contact support at 215-658-4550 or support@therapynotes.com. We're available 9am ET to 9pm ET Monday through Friday. Thank you again for your review and feedback. "Simple to Use When It Works"
Simple interface. Excellent to do list system. Makes sure I stay on top of notes for electronic claims submission. Automatically prompts to update after information is a year old or client turns eighteen. Also I love being able to set up automated text reminders. It has completely crashed and kicked the whole company off for anywhere from minutes to a week. Also occasionally kicks me out while writing progress notes. Would also prefer some internal messaging system without having to decline a note. Allows fast and simple submission of claims and prompt payment. Thank you so much for your review. We're new to G2 Crowd so we apologize for responding to this so late. We apologize for the site instability this winter. If outages or slowness occurs, we work quickly to get back up and running, and are usually back up within minutes. I wanted to let you know that you can always visit our status page at: https://blog.therapynotes.com/status to read more about any outages. As always, feel free to contact support at 215-658-4550 or support@therapynotes.com. We're available 9am ET to 9pm ET Monday through Friday. Thank you again for your review and feedback. "Good at Some Things - Not So Good at Others"
Therapynotes offers telephone support, which helps when guidance is needed in real time. The software is feature rich, and provides a one stop shop for practice management. Client portal has taken several years to come to life. So far, it is very limited and does not add to what they offer. They keep promising improvements, but they are slow coming. Software does not offer a way to track authorizations by expiration date or total number of sessions. There is a work-a-round, but it is quite cumbersome and inefficient. I wish there was an app so that it is easier to access information on a mobile device. They will say that you can access in your browser, but the text is then too small and navigation is difficult. 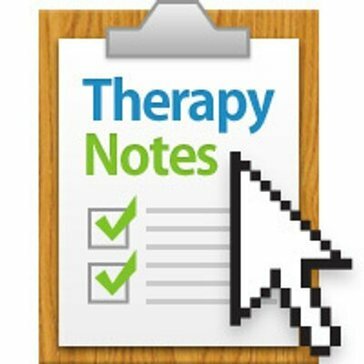 Therapynotes does not offer customizable online intake or notes templates. Therapy notes does not have a way to integrate the client portal with my practice website. This would allow for clients to schedule an appointment without having to leave my website. Overall, although this software package offers a lot of features, there is still much room for improvement. Do your research and select the best EHR for you. There are many options out there. Many of them say they will help you move over to them if you are using another service, but truth is, moving is quite a daunting task. Test them out and see what fits with your practice. I use this for practice management, notes, billing, etc. I would use it for more, but it does not offer customization. We appreciate your feedback! We released many upgrades to our client portal this year. At this time our client portal allows patients to view and request appointment times, electronically sign documents, and it enables users to send documents for review. An upcoming improvement will allow fillable forms to be sent to patients as well. The patient will be able to complete the document electronically and send it back to the practice. We do offer a way to integrate the client portal into your existing website as well. Please contact our Success Team so that we may assist you with this feature! We can be reached Monday-Friday 8 Am-9PM ET at 215-658-4550 or by email at Support@TherapyNotes.com. "Super helpful in understanding the availability of counselors"
We are able to see approximately 200 counselors schedules in Therapy Noes. We use it in conjunction with Share Point and it's easy to search counselors schedules while on the phone with clients. You can even see how many new appointments the counselor has vs. follow up. There's a monthly view which enables you to see if a counselor does every other week appointments and we are able to enter billing codes and notes which can be understood by the other departments. Counselors can choose to not update their schedules which can be frustrating. We have to use a secondary search tool to figure out the counselors specialties and to narrow down the insurance the specific counselor takes. It would be great if that were all in one location. Scheduling counselors in real time to avoid double bookings and communicating billing notes with coworkers. We are so happy to hear that TherapyNotes has helped to streamline your business and the management of your clinicians! We look forward to working with you and we really appreciate the review! Thank you! Therapy Notes takes the guesswork and memory jogging out of clinical documentation. It streamlines the process and cuts doc time in half. It’s not easy to make every plan of care individualized when using broad techniques, but it’s so easy, it’s hard to go through the extra 2 steps to write your own stuff. Tina - Thank you so much for the review! We are happy to hear that you are loving TherapyNotes! "Therapy Notes user for 4+ years"
Format, layout, documentation, ease of use, organization of notes, I enjoy using therapy notes as a whole because it is easy, organized and keeps all of my notes in one place. Consistent maintenance and website being down frequently, I don't really dislike any features in particular or have had any issues. Reports are helpful in looking at percentages and sessions. I don't always get to use this from the business point of view as we don't have access to those things as clincians. "Easiest use of DAP notes"
I like how there are progress and DAP notes that are ready made and I need to just fill in the appropriate information. It makes writing notes easier and much faster and allows me to move on to the next client. Streamlining the therapy sessions and being able to take notes quickly. There is not a lot of time between clients, and having ready made templates make that transition smoother. Feel free to contact support at 215-658-4550 or support@therapynotes.com so we can help answer any questions that you have. While on the "Scheduling" page looking at your calendar, click on a past appointment and then click on "Notes". You'll be able to view previous notes for a patient's appointment by clicking the link provided. As an alternative, you can also visit a patient's chart and view a history of appointments and notes via the "Schedule" and "Documents" tabs. If it helps, we can also help you add appointment alerts to your appointments. You can use these to record any important information or reminders, and they will be visible on your calendar. As always, we're available 9am ET to 9pm ET Monday through Friday. Thank you again for your review and feedback. "Therapy Notes Use as a Therapist"
It is user friendly and it is nice to be able to save draft versions of documents. Can be challenging to navigate client profiles, especially if they are seeing multiple clinicians in the same practice. Certain aspects of forms are rigid and making changes feels challenging. There's often site management that can make it hard to access. "Good for use on the go"
I like that I can remote in on my own computer while still remaining complaint with confidentiality and security. Additionally, I like the ease of the sections for notes and the support it gives to develop a mini mental status for each session as well as treatment planning. Sometimes the program will freeze or crash on my personal computer. I also find the loading time to often be quite slow and stalled at times so it takes longer than I'd like to write things. Ease of reporting and keeping track of clients. Ease of billing and for insurance purposes. Of the different programs that I’ve used in the past few years, this program is the best user friendly one that I’ve seen. Something I don’t like is that I’ve lost notes before I saved them. Be patient. Once you get used to it. It’s smooth. Being able to write notes faster and smoother is easier with this program. I love how simple the whole program is to use and see your client files, calendar, etc. My only downside is how tedious it can be to enter in all your client's goals and objectives. That gets very time-consuming. Additionally, the program seemed to be down fairly frequently, which is alarming when your business runs on it. More inclusive and intimate note with room for it to be exactly protective and open to the therapist or mental health professionals to follow. Does not look personal , as it formerly was longer. Take a chance to save time and liability for patients to use this great product! "Very easy to use "
Writing notes and treatment plans are short and simple and the intake gives you examples of what to write or what’s required. The calendar is super easy too. Sometimes I need to do a note or an intake and it won’t have a link to it in the to do section so I can’t actually do it. I need to call IT to fix it. I do all my notes and scheduling and keeping track of the client files on therapy notes. It’s so much faster and less time consuming than my last program. Thanks for the review! We are happy to hear that you like our note templates and scheduling features. To access a note template for a session, you can also click on the appointment > click the Notes tab > Click 'create psychotherapy progress note'. Our Success Team is happy to assist as well, we can be reached at 215-658-4550 Monday-Friday 8AM-9PM ET. Thank you! I like having my therapy session and i can input all my notes from it into one location. Nothing as of now is wrong about this soft ware. I like the features. "All in one scheduling, treatment planning and notes "
Easy to use and all self contained. Easy to communicate what is pending, appointments missed or rescheduled. At a glance opening page with to do list and upcoming schedule. The ability to print and save past months. The ability to link to personal calendar is difficult. Doesn't work well. One stop for everything you need. "Effective, a few cons "
I love the to do list! I love the sync to my iPhone. I dislike the scheduling options. I dislike that there is no feature to hide clients names or abbreviate. You do have the ability to toggle client names on and off so that patient initials are shown on the calendar instead of full names. While on the "Scheduling" page click on "Set Calendar View" in the upper right corner. Then click on the checkbox for "Only Show Patient Initials in Calendars". Feel free to contact support at 215-658-4550 or support@therapynotes.com if you need any other help. We're available 9am ET to 9pm ET Monday through Friday. Thank you again for your review and feedback. "Therapy Notes- great program but room for impr"
I love the ability to carry over previous notes' content and I also love that I can open multiple pages at a time which really helps when I have to reference past sessions. It's nice that you can use the history button to pull up the clients' medication lists and past information. It will occasionally crash and that is definitely tough to deal with but it happens VERY rarely and I have never lost information after this happens. Submission of payment and billing. It is great to hear that you love the workflow and integration built into our documentation and notes. We have made many architectural and back end improvements over the last year which have significantly improved site stability and overall speed of the system. We appreciate your review! I use this for one of my Clients, she's a psychologist. It's easy to use, fast to navigate through. I never have any issues. "Good system for light needs"
Tech support was very good and timely. Their note section allowed for fairly adequate notations. This system provided an intake, discharge note, and treatment plan, along with 2 forms of progress notes. It also had contact notes, which I used alot. This appears to be a system designed for a light private practice. There was no ability to modify note structure. This product appears to be designed for a light practitioner who only needs to write notes and treatment plans. I enjoy the text reminder updates that are available to clients. It also is great for condensing all information needed in one place. The "to do" is a little frustration of a feature. It is solving my concerns about billing, and staying organized. I am able to have all my clients in one place. "I use it every day for client socumentation"
We really appreciate your review! We are happy to hear that you are enjoying our billing features. Our Success Team can help with any billing issues that may arise. We can be reached at 215-658-4550 Monday-Friday 8AM-9PM ET. Thank you! "Therapynotes makes my life 10x easier "
Ability to do work at home on secured internet. Easy user friendly site, ability to one click and have answers automatically filled in if they are staying the same. Calendar view is confusing sometimes and I would like to be able to see my coworkers schedules as well. I am solving the issue of not having to hand write session notes and take excessive time. Benefits are it goes quickly and smoothly. Thank you for the review! We are happy to hear that you are finding TherapyNotes to be user friendly and intuitive. With the correct user roles, you can view your co-worker's schedule. Give our Success Team a call so that we may assist you with this! Thank you! "I use Therapy Notes to document hourly counseling sessions with clients." Therapy Notes provides a user-friendly platform to document sessions along with free CEU's and training pertinent to my field. Nothing to dislike as of yet. It provides everything that I need to document cases. Confidential and concise documentation of counseling sessions. Tracy - We appreciate your review! We are happy to hear that you find TherapyNotes to be intuitive and user friendly. Please let our Success Team know if you feel there is anything we can improve upon. We hope to earn five stars from you in the future! Thank you! I love the convenience of being able to sync my phone and especially how you can set the sechedules for client and only have they’re initials instead of full name allowing for more privacy and neatness. I’m not a big fan of the “to-do” list it features. I’m able to stay organized and I absolutely love that. And it also let me store a lot of information in one place it’s very convenient. "Very simple and efficient software"
Very user friendly, and contacting Support is a pleasant and quick experience. Would love a way to text clients through Therapy Notes. Uploading insurance cards into Therapy Notes streamlines the billing process, and the ERA's are very quick to process. I like how easy it is too look at your information. There is nothing I dislike about it. I have zero complaints. Organized Electronic Health Records. Benefits I've realized are how organized it can be. "Great software for mental healtj"
"Fun easy product for Home Health"
I like that all the notes are digital. Makes it much easier than having to deal with paper notes. Everything is stored neatly. No paper mess. Everything is sorted. Very organized. One thing I did not like was that it crashed for me a few times and I lost quite a bit of documents. Everything is digital. No more keeping hundreds of paper notes. Less clutter. Very affordable for $49 a month. HIPAA and confidentiality complaint. Free email reminders. Keeps me in compliance. Professional notes and treatment plans if ever audited or subpoenaed. Wish there was a tablet or app based way to use product over encrypted server. Providing hipaa appropriate EHR for mental health. I do not bill insurance so cannot speak to that. "Works great for clinical not taking!" Quick and easy-great interface! Fun, interesting look. If it included a teletherapy option on the siter that would be helpful. You will have everything about your client all in one place! Quick, efficient ways to do our clinical notes and record keeping. "Therapy notes for the win!!!" Therapy notes is the best! Therapists jobs are easier when they use this!! The best part is it lowers the risk of losing notes!! Easy to take and convinent!! Nothing is wrong with this company!!!!!! Easy to take and save notes for patients make schedules and reduce stress! Very user-friendly and easy to navigate upon signing in. There was not anything worth listing as something I dislike about the product. Offer multiple accounts users in the event of multiple occupations. I'm able to log, review, and receive supervision based on the information logged through TherapyNotes. My Doc’s office uses this and I worked there for a couple weeks and wow, it was great. Simple, straight-forward and no-brained to use. There was nothing about this program I disliked. GrNted, I only used it for two weeks but it was great. I love the features for billing that is included. It is difficult to find required documents that insurance companies request. It is a great Electronic Health Record program and allows me to submit billing with ease. We really appreciate your review! It is great to hear that you are loving our billing features. Our Success Team is happy to assist with any issues you may be experiencing with navigating the documents section. We can be reached at 215-658-4550 Mon-Fri 8am-9pm ET. Thank you! It is very user friendly and the customer service isn't fantastic! It would nice it it had an app for the website. Therapynotes is very easy to use and pretty straightforward in how it works and fees and customer service is amazing! People are quick to answer, gives you someone to talk to. Nothing, they make it feel very personal. Extra safe place to detox and talk about the intensity of our work. Almost like debriefing. The variety of features offered under one app. I've had issues with tech support in the past. It would be great if it didn’t take so long and to input info. Thanks for the review! We are happy to hear that you are loving TherapyNotes! Ease of use, intuitive. Am able to keep up with clients and record relevant data easily. Nothing comes to mind . I’m completely satisfied with therapy notes! You can costumize the software to fit your practice. I also appreciate the to do list as well. Great feature! I wish the product did spell check as you went along. * We monitor all TherapyNotes reviews to prevent fraudulent reviews and keep review quality high. We do not post reviews by company employees or direct competitors. Validated reviews require the user to submit a screenshot of the product containing their user ID, in order to verify a user is an actual user of the product. Hi there! Are you looking to implement a solution like TherapyNotes?